Once upon a time, I was on the board at the Woman's Industrial Exchange. At the time I was working at Nelson Coleman Jewelers, which was located in the basement of the building. I would frequently go upstairs to check out the consignments and occasionally dine in the restaurant, where I would always order one of two things - the chicken salad, or the crab cake. The whole time I worked at 333 North Charles, there was worry that the Exchange would have to close its doors, but fifteen years later, things are still running along. 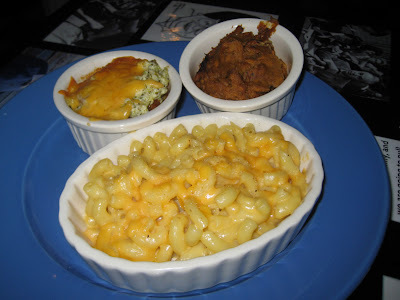 I knew immediately that I wanted to try the "Bridge Club Sampler," which included Granma Adelaide's sweet potato casserole, Amelia's broccoli and cheese casserole, and Grandma Linda's macaroni and cheese. The broccoli casserole was the standout of this trio, with a light and fluffy texture not unlike a souffle. 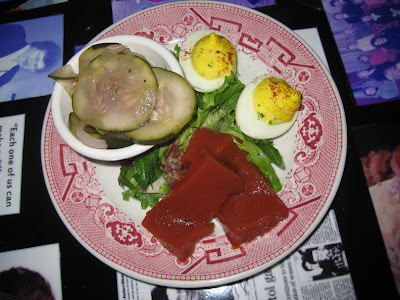 The pickles, however, were my favorite thing on the plate. The combination of cucumbers and onions were only lightly pickled and redolent of coriander. Mmm! 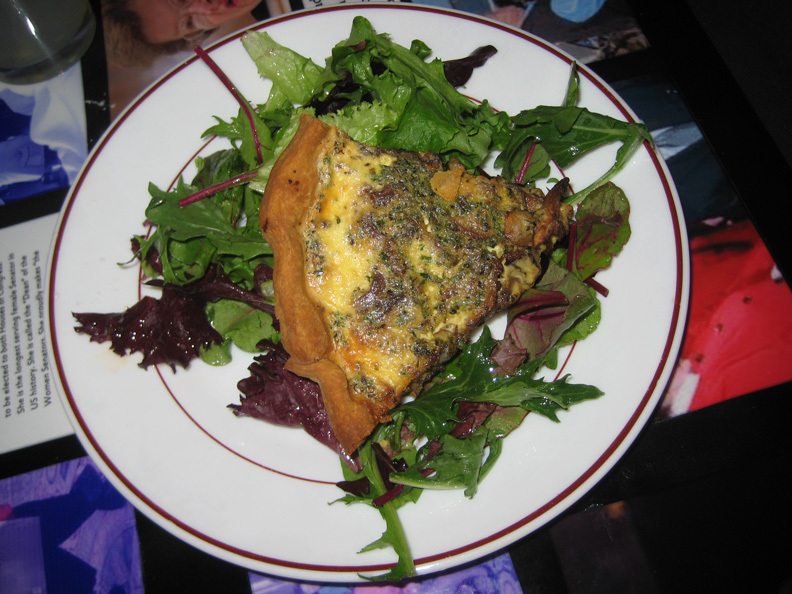 Mr Minx tried a bowl of Flo's Charm City Chili, which wouldn't fool anyone from Texas, and enjoyed a slice of Tina's Mushroom Pie, a quichelike creation on a sturdy home-made crust and a bed of lightly-dressed baby greens. We passed on dessert because we were so full, but I noticed the menu included an old favorite from the original Exchange lunchroom, the Charlotte Russe cake. We'll try that next time.